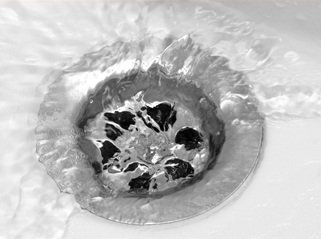 Clogged Drains in Queen Creek, AZ can easily cause damage to your plumbing system which may require expensive repairs. This is just one of the reasons as to why you should contact your local plumbing company if you suspect that you have clogged drains. You should have your drains cleaned on a regular basis to ensure that your drains due not sustain damage. There are several benefits when it comes to drain cleaning. One of the biggest benefits being that you will experience faster, more effective draining. This is sure to be one of the most noticeable benefits of having your drains cleaned. Water will not stand in the drain which can be very damaging in a short span of time. This makes it less likely for your drains to overflow or cause standing water. Regularly having your drains cleaned by a professional plumber help prevent unpleasant odors. Failure to clean drains can lead to dangerous mold and bacteria which commonly causes foul odors. Regular cleanings can remove the odor and make your home a healthier place in the matter of minutes. You should also remember that water can not remove mold and bacteria, but can make the problem worse as both bacteria and mold thrive in dark and damp places. A though cleaning is sure to get rid of any mold or bacteria that may be lurking in your drainage system. As you can see there are several benefits to having your Clogged Drains in Queen Creek, AZ cleaned on a regular basis by your professional plumber. You can all your local plumber at your earliest convenience to set up an appointment to have your drains cleaned on a regular basis. Your local plumbing company is sure to help you with anything you need in regards to drain cleaning and so much more.